Do you need some help on how to use Envira with Gutenberg? You’ve come to the right place! This is easily done with a few short steps. 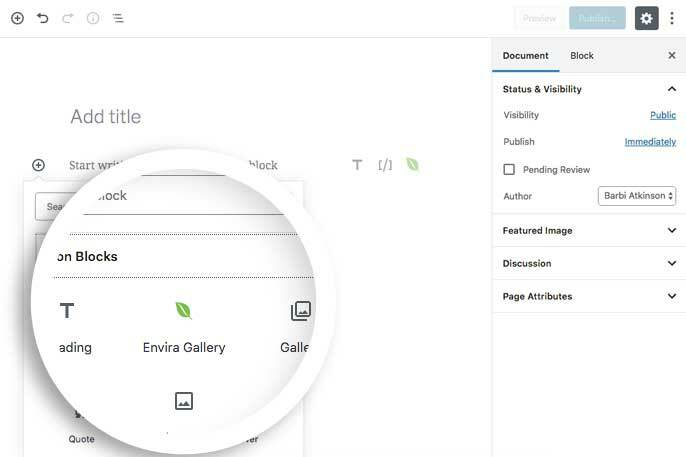 We’ll walk you through each of these steps on how to use Envira Gallery and WordPress’ Gutenberg together. Is this the only way to use Envira and Gutenberg together? Your first step is to create a new gallery. You can follow along with our documentation for creating your first gallery. Click Publish to publish the gallery so that you can create a shortcode for this gallery. You’ll need that for the next step. Once you’ve clicked the + icon, select Common Blocks and select the Envira Block. You can either choose a gallery from the dropdown or type out the slider name to do a smart search. Once you select the gallery from the dropdown, it’s automatically added to the block. Once you’ve added the Shortcode block, just paste the Envira gallery shortcode into that area. Finally, when you’ve added all your galleries or content, click the Publish button in the top right corner to publish the page or post. And that’s it! You’ve now just added an Envira Gallery to your Gutenberg page. Would you like to learn about other page builders and Envira. 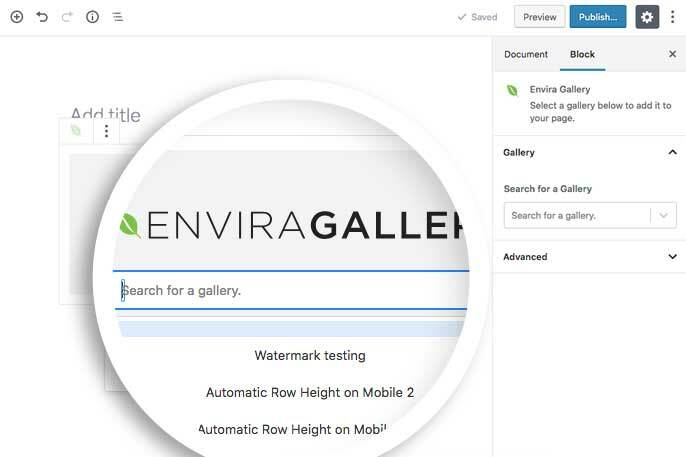 Take a look at our article on Using Envira Galleries and Page Builder Tabbed Content. 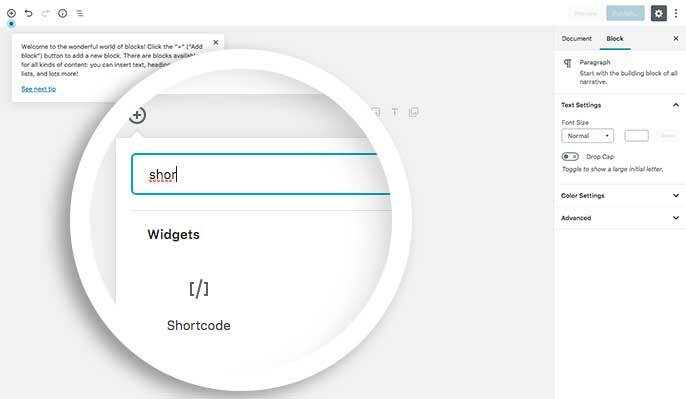 A: You can of course choose to use the Shortcode Block located under the Widgets section in Gutenberg. When using dynamic shortcode, you’ll still need to use the Shortcode block when adding a slider to your pages. A: Using the Shortcode block is the only way currently to add an Envira Album to your Gutenberg page.